His hair, the costume, the body type, the gate (his body movement), even his perceived height are all a dead match for Hayden Christensen. 2. 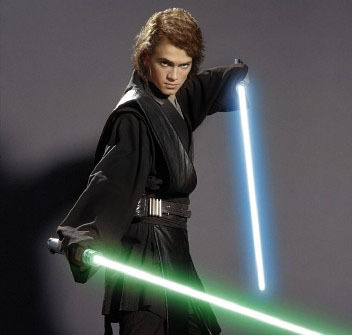 I think Hayden Christensen gets a bad rap for the mistakes of the prequels. 1. J.J. Abrams is going for a surprise of epic proportions in the film. He has to, he's J.J. Abrams. 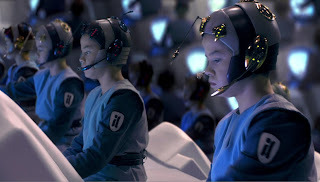 So this may be Christensen's voice through a robotic sound filter? 3. Because the trailer goes through great lengths to keep the identity of the villain a secret, Seeing Christensen on screen (if done right) would be a colossal thrill for the audience and a chance for Christensen to redeem himself and for us to finally see a fully realized evil Anakin. 6. This would provide a stellar reason for the hero worship of Darth Vader.